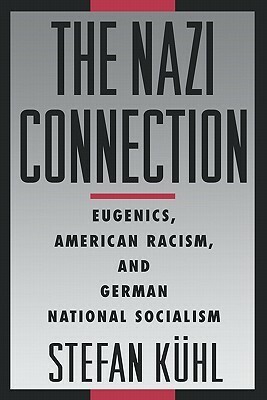 The definitive book to read to understand the connections between German, American, and British eugenicists and how eugenics thrives today. He moves from the progression and incubation of "scientific racism" in the states on to the trans-Atlantic ties that innovated Nazi racial hygienists. They justified their atrocities by citing American sterilization laws at the Nuremberg Doctors Trials, and American prosecutors were sympathetic to this. The concluding chapters prove how their American counterparts rehabilitated them swiftly after WWII while they lied about being associated with the worst crimes of Nazi Germany, a very common trope. Kühl's research dismantles the mythology of the "few scientists who got out of control" by carefully analyzing those he classified as "mainline", "reform", and "socialist" eugenicists. American eugenicists' desires to create a purified national body were only "sullied" by the logical conclusion of what the practices and ideology meant -- mass killings and eventually the Holocaust. Do not expect to receive political analysis readymade for you from this book. Its strongest point is that it is important reference material put in one book that is too often diffuse. Kühl presents extensive documentation, and I look forward to connecting the criminals he names with the existing organizations that purport to be kinder, friendlier eugenicists in the 21st century for my own research. Puts the US squarely in the middle of Hitler's experiments. Tracks how the programs were funded and who wanted them done. A good collection of scientific thought around the idea of forced natural selection. No one was innocent. Interesting look at how American eugenics movement affected Nazi Germany. A little too dull and not my most interesting topic.